MINNEAPOLIS – Just one week of speech therapy may reorganize the brain, helping to reduce stuttering, according to a study published in the August 8, 2012, online issue of Neurology®, the medical journal of the American Academy of Neurology. The Chinese study gives researchers new insights into the role of different brain regions in stuttering, which affects about one percent of adults. The study involved 28 people with stuttering and 13 people who did not stutter. Fifteen of the people with stuttering received a week of therapy with three sessions per day. The other stutterers and the controls received no therapy. Therapy involved the participants repeating two-syllable words that were spoken to them and then reading words presented to them visually. There was no time limit in either task. The average scores on stuttering tests and percent of stuttered syllables improved for those who received the therapy. There was no change in scores for the stutterers who did not receive therapy. One of the specialties at Amarillo Diagnostic Clinic is Neurology. 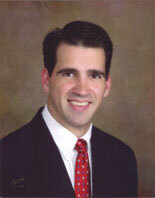 The Neurology team is lead by Dr. Sean Milligan. Smells like nostalgia: Why do scents bring back memories? The smell of chlorine wafts through the air. 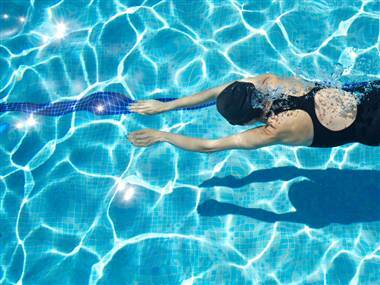 Suddenly, you recall childhood summers spent in a swimming pool. Or maybe it’s a whiff of apple pie, or the scent of the same perfume your mom used to wear. Our noses have a way of sniffing out nostalgia. “I stepped into an elevator and a bunch of people piled in behind me. I was behind a woman with her back to me, her hair was in my nose, and I could smell the perfume, Shalimar, and I hadn’t smelled it in [years]. It seemed like I was transported back to high school,” says Howard Eichenbaum, director of the Laboratory of Cognitive Neurobiology at Boston University. While all the senses are connected with memories, smell in particular sparks a flurry of emotional memories. Why? After a smell enters the nose, it travels through the cranial nerve through the olfactory bulb, which helps the brain process smells. The olfactory bulb is part of the limbic system, the emotional center of the brain. As a member of the limbic system, the olfactory bulb can easily access the amygdala, which plays a role in emotional memories (it’s also where the “fight or flight” reflex comes from). “Olfactory has a strong input into the amygdala, which process emotions. The kind of memories that it evokes are good and they are more powerful,” explains Eichenbaum. This close relationship between the olfactory and the amygdala is one of the reason odors cause a spark of nostalgia. “We don’t use emotional memory that much,” says Dr. Ron DeVere, director of the Taste and Smell Disorders Clinic and the Alzheimer’s Disease and Memory Disorders Center, in Austin, Texas, and member of the American Academy of Neurology (AAN). He adds that when people consciously attempt to remember something they focus on the details, not feelings. “You have an odor, you may not identify the odor, but you are associating that with some memories. The first time you smelled apple pie you may have been at your grandmother’s house,” DeVere says. Also at play is a relationship between the olfactory system and the hippocampus, which is critical to developing memories. Even though the olfactory system interacts with the emotion and memory centers in the brain, it does not connect with more developed regions. “Smells do bring back memories,” says Dr. Ken Heilman, James E. Rooks Jr. Distinguished Professor Neurology and Health Psychology at the University of Florida and a member of AAN.